Click the image to visit their website. Based on the Five Building Blocks of Early Literacy (reading, talking, playing, thinking, and doing), Get Ready 4 Kindergarten’s Build a Bridge to Kindergarten programs are designed to help your child build a strong foundation for learning in kindergarten and to become a Confident Communicator. 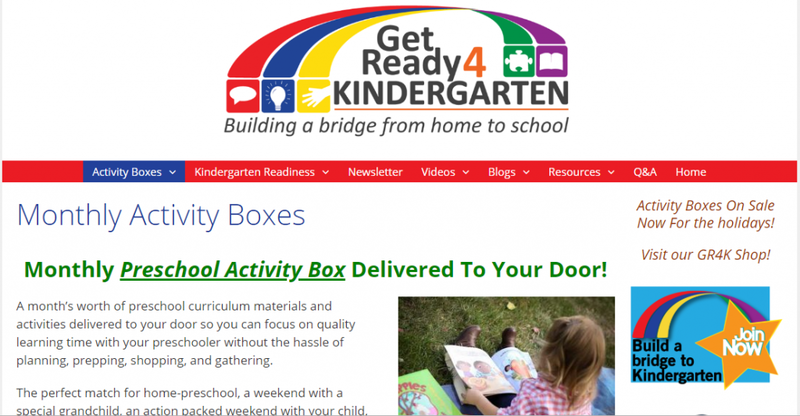 Get Ready for Kindergarten covers all topics related to getting your child ready for kindergarten. However, GR4K also gives tips to help your preschooler get ready to read. If you’re interested in seeing how great this program is there are some super fun free videos that can be used in your homeschool. 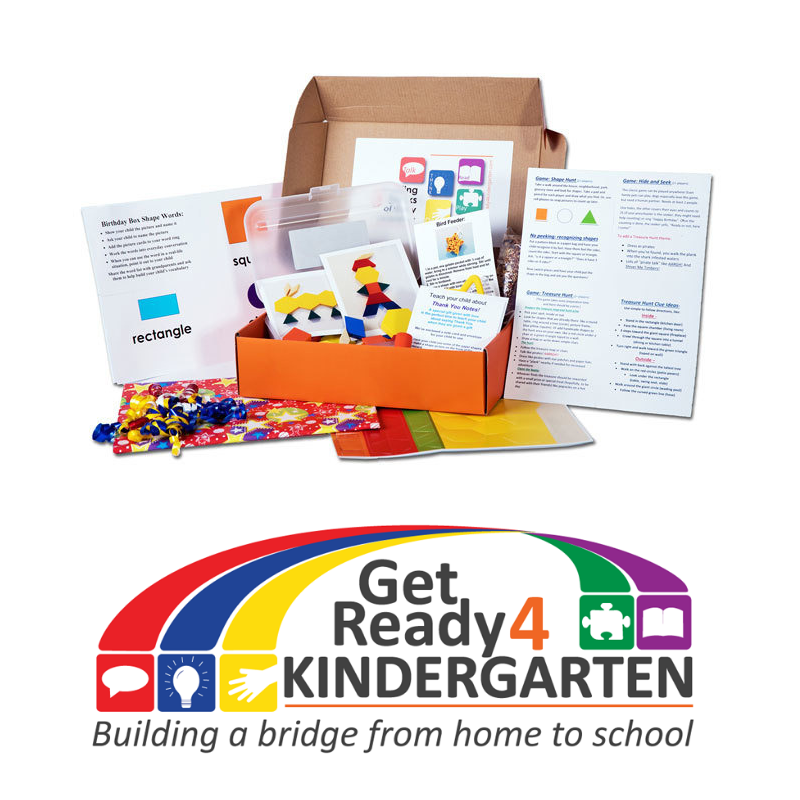 Get Ready for Kindergarten is a monthly subscription service that gives your preschooler a fun box full of amazing learning opportunities all in line to prepare them for kindergarten. Kids love getting the boxes in the mail – so exciting! Kids learn through the fun books, activities, and even colorful flashcards!